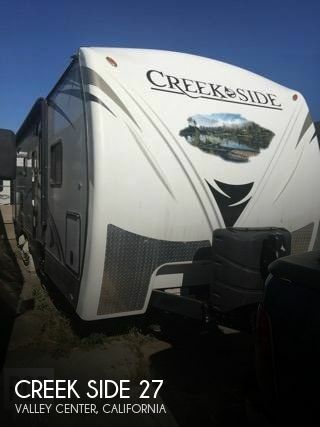 Stock #166845 2016 CREEK SIDE BY OUTDOORS RV 27BHS TRAVEL TRAILER SLEEPS 7 If you are in the market for a travel trailer, look no further than this 2016 Creek Side 27, priced right at $27,800. 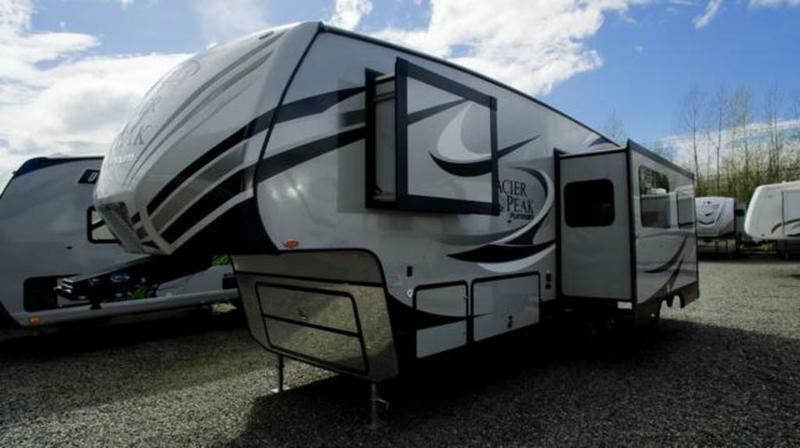 This Travel Trailer is located in Valley Center, California. 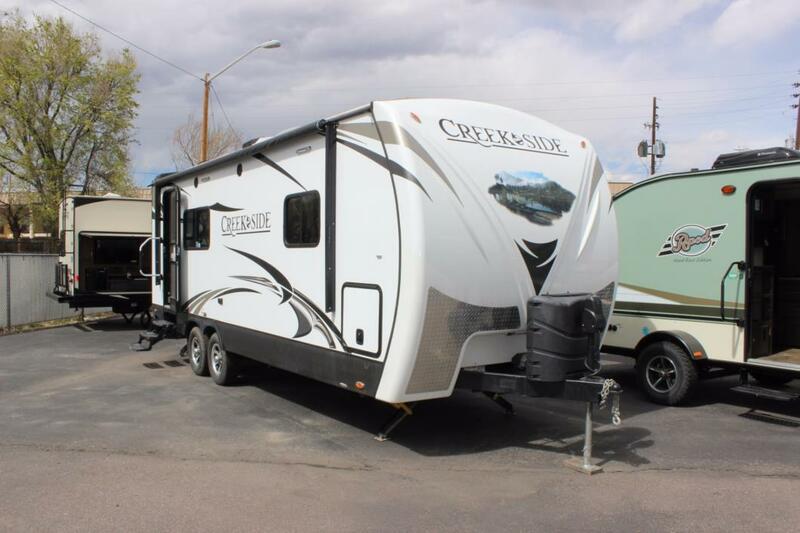 2016 Outdoors RV Glacier Peak 26RLS, We Welcome Trade-Ins! 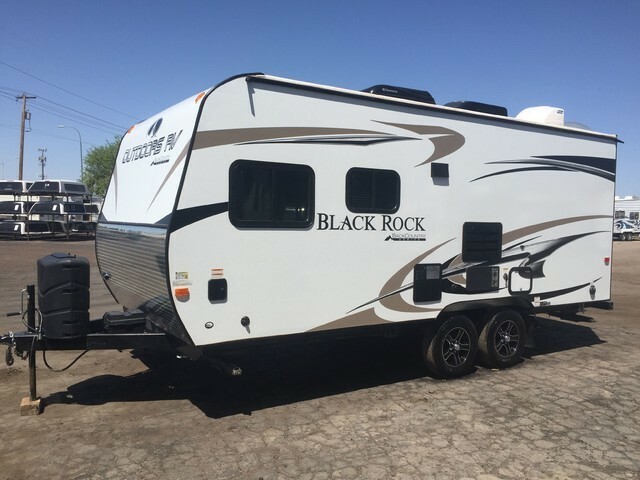 2017 Outdoors RV Black Rock 18DB, 2017 Outdoors RV Black Rock Back Country Edition 18DB. 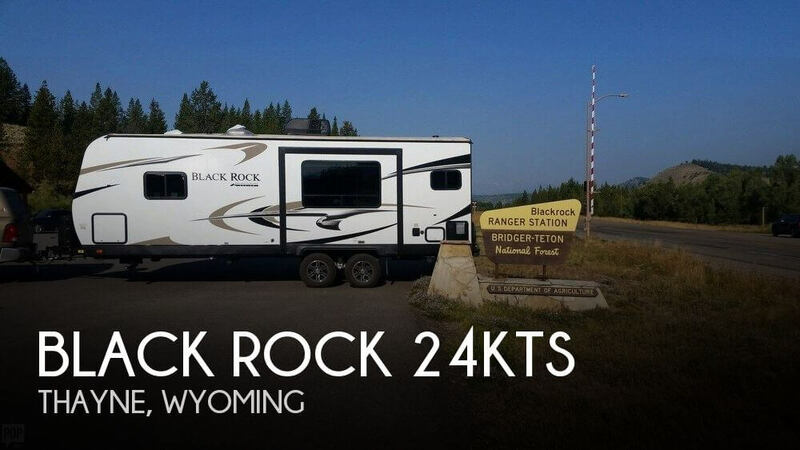 The make/model name is a mouthful but the trailer is lightweight and easy to tow! 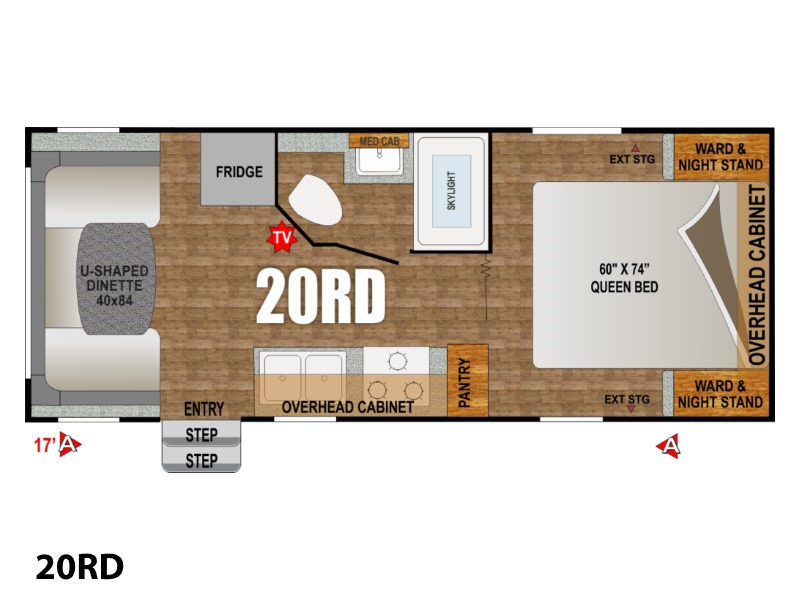 Great little trailer for the family and legendary construction in the same vein as Nash and Arctic Fox by Northwood - with 4 seasons construction and thermal pane windows. 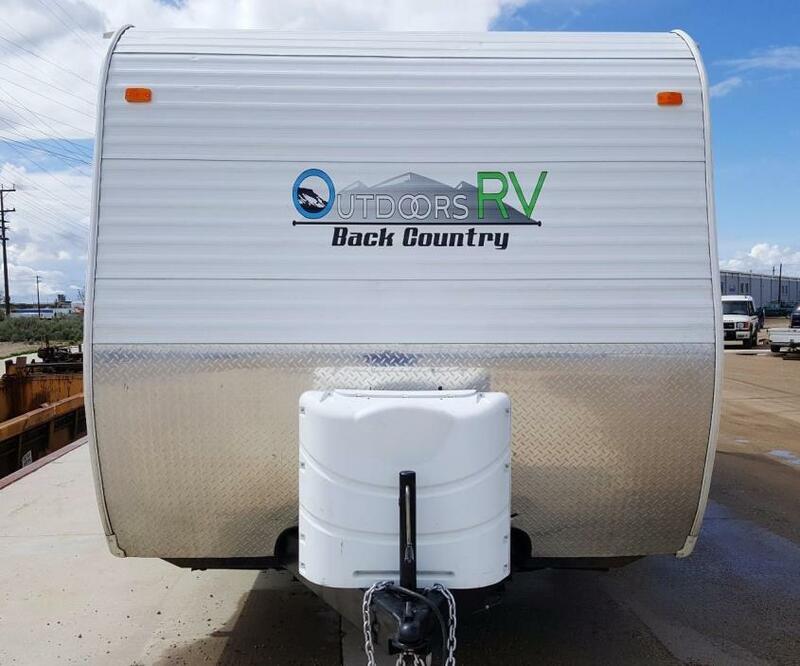 This trailer is in like new condition inside and out and has all of the amenities that you would expect including A/C, awning and much more. Don't miss this one!! Save $$$ over new! 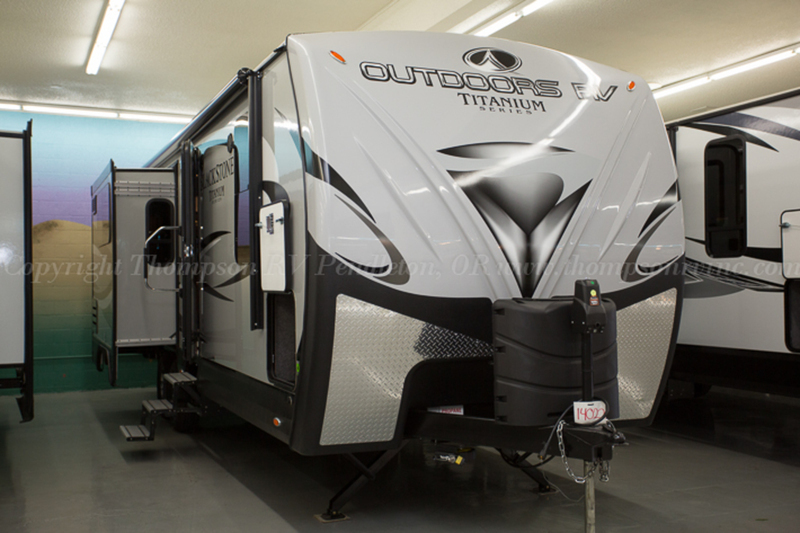 Give us a call at 602-258-3663 or come see it in person at our Grand Avenue location in Phoenix. 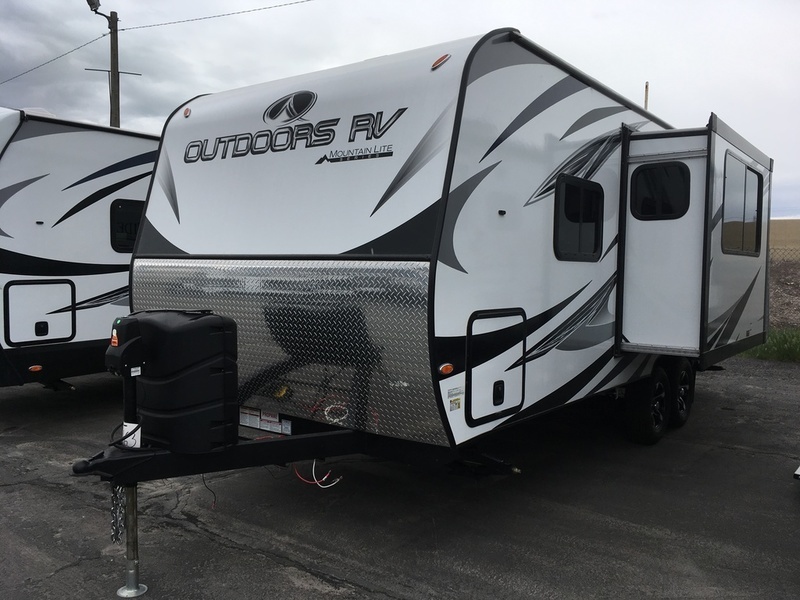 2017 Outdoors RV Titanium Series Titanium Black Stone 250RKS, Off Road X4, 4 Battery Rack, & Mountain Storage System! -Off Road X4 Package With Mor Ryde Suspension, Heavy Duty Shackles, Off Road Shocks, Load Range "E" Tires-Mountain Storage System With 2" Receiver and Toy Lock-Custom 4 Battery Rack*TITANIUM SERIES Which Includes:Lamilux 4000 High Gloss Fiberglass Frameless Thermal Pane WindowsSilver Fiberglass & Front CapRemote Camping Including Power Stabilizer JacksChrome Door Locks & Luggage Handles15K A/CRaised Panel Knotty Alder CabinetsDigital ThermostatModena Solid Surface Countertops in Kitchen, Bedroom & Bathroom9.5 Cubic Foot ReferStainless Steel Sunken RangeChrome High Rise Single Lever Pull Out FaucetMaxx Air Fan In Kitchen, Bathroom, & BedroomPremium Gel Infused Cooling Memory Foam MattressPlush Mountain Lodge Bedspread and PillowsBedroom Reading Lights12 Volt Bedroom TV-Off Road X4 Package With Mor Ryde Suspension, Heavy Duty Shackles, Off Road Shocks-2" Thick Aluminum Frame With Bonded Wall Fiberglass Siding-Arched Ceiling Adds Height And Extra Insulation-Living Room Slide-Bedroom Wardrobe Slide-Power Tongue Jack-Power Awning With Armor Shield Wrap & Light Strip-12 Volt Flat Screen TV-TV Antenna-CD/DVD Player With Exterior Speakers-Four Seasons Package With Heated And Enclosed Tanks-Insulated Exterior Shower-Ducted Air-Microwave-Large Family Size Dinette-Night Shades-Thermal Insulated Skylight With Shade-Lend-A-Hand Grab Handle At Entry-Extra Large Storage Compartments With Slam Latch Doors And Magnetic Door Catches-10 Gallon DSI Water Heater-10 Watt Solar With Battery Disconnect-Fresh Water Tank Enclosed & Heated In Chassis-LED Interior & Exterior Lights-12 Volt Triple Charge Station-12 Volt USB Ports On Both Sides Of Bed-Drawers Under Both Sides Of BedAnd More! 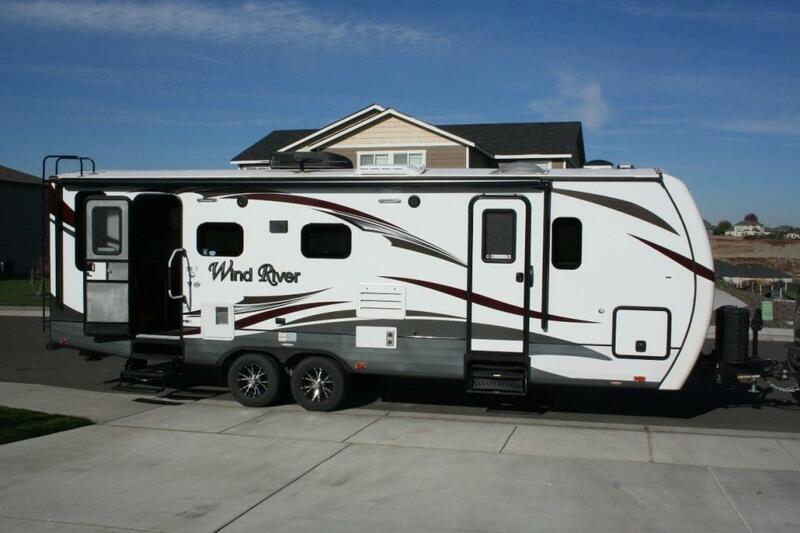 2015 Wind River 25' rear dinette. Fire place, one large slide out. 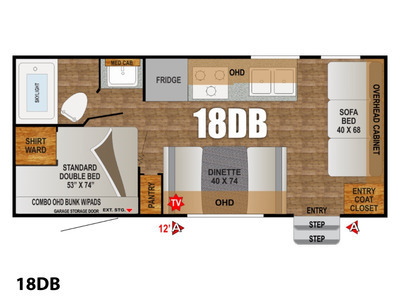 Remote control slide, stabilizers, awning. Two fantastic fans, TV DVD, hot water tank propane or electric. 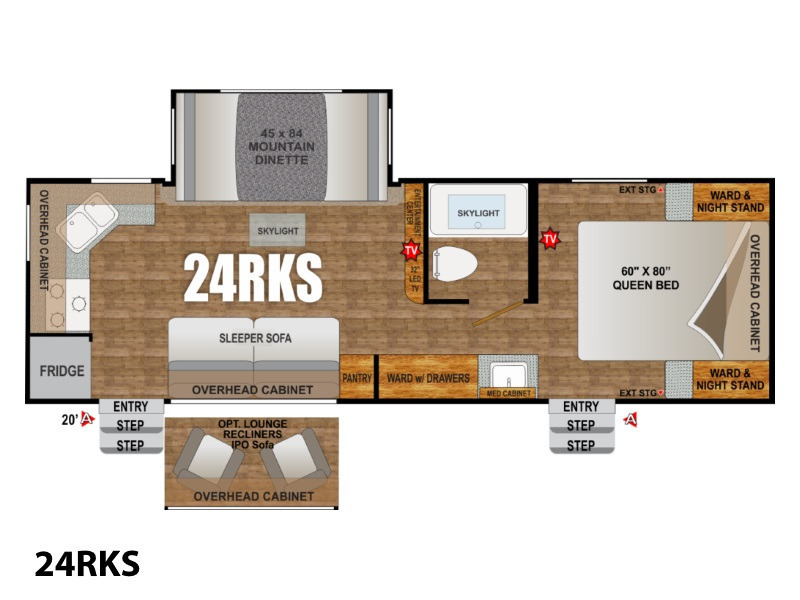 Will include tailgater satellie system and a 3500.00 camp graound membershiop. 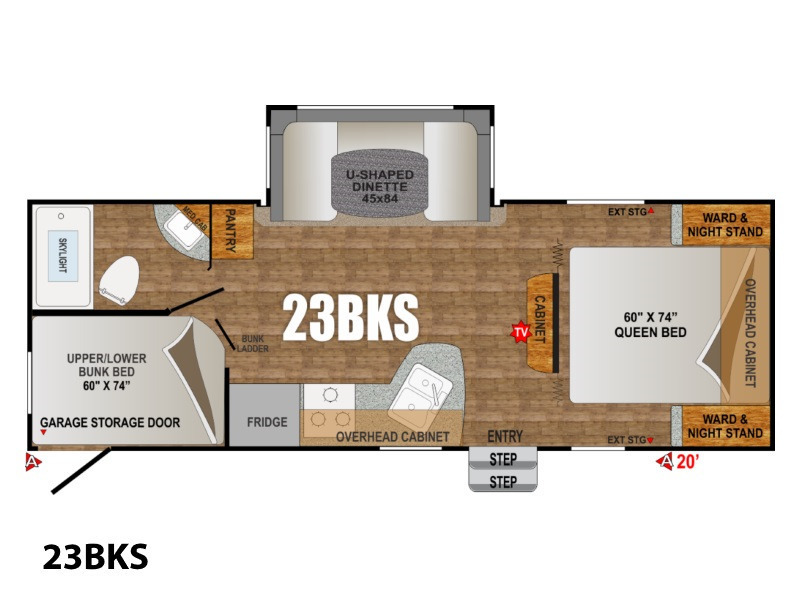 2017 Outdoors RV Mountain Series Mountain Timber Ridge 24RKS, ON ORDER! Off Road X4, Mountain Storage System! 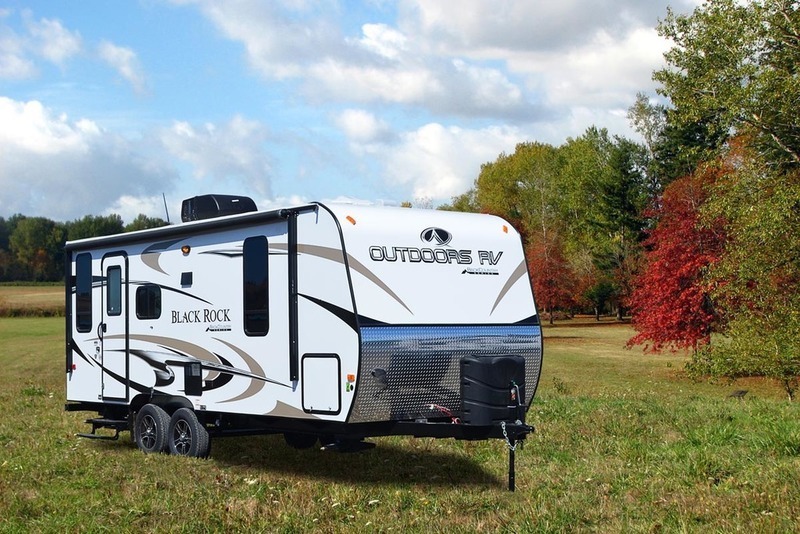 -Mountain Series-Off Road X4 Package Which Includes:16" WheelsLoad Range "E" TiresMor-Ryde SuspensionHeavy Duty ShacklesMonroe Off Road Shocks-Mountain Storage System With 2" Receiver & Toy Lock-Vaulted Radius Ceiling Adds 5" of Headroom!-Frameless Thermal Pane Windows For Added Insulation & Less Condensation-Bonded Wall Fiberglass Exterior w/Foam Insulation-Fiberglass Front Cap With Diamondplate-2" Thick Aluminum Framed Walls-Electric Awning-LED Interior & Exterior Lights-Roof Mounted 10 Watt Solar Panel With Battery Disconnect-4 Seasons Package (Including Heated & Enclosed Tanks, Double Insulation In Flooring, Tanks Wrapped In Astro-Foil, Astro-Foil Under Slide-Out Floor)-Sleeper Sofa-XL Dinette Bed-Solid Surface Countertops-CD/DVD Player With Surround Sound Speakers-LED 12 Volt Jensen Flatscreen-13.5 BTU Ducted AC-Night ShadesElectric Awning With Weather Guard-Aluminum Entry Steps-HD Power Tongue Jack-BBQ Hook-up-Entry Mat-Mountain Comfort Premium Mattress-Wall Mounted Hairdryer-Rechargeable Flashlight-Larger Norcold USA Built Refrigerator-Full Extension Ball Bearing Drawer Guides Throughout The Trailer-Trekk Outdoor Tough Flooring-Water Heater Bypass For Easy Winterization-Raised Panel Refrigerator Doors-Microwave-Pot & Pan Drawer-Power Tongue Jack-Insulated Exterior Shower-Black Tank Flush-Oversized Luggage Doors With Slam Latches & Magnetic Hold Backs-Rear Ladder-Radius Entry Doors And Luggage Doors-80 Gallon Fresh Water Capacity-10 Gallon Water Gas/Electric Rapid Recovery Water Heater-Sunken Range With Glass Top and Sealed Burners-Custom Built Off Road Chassis-Heavy Duty Axles And More!